The Garden Hotline offers individualized solutions to garden problems that are practical, safe, effective, and natural. Our services are FREE to home gardeners and landscape professionals throughout Seattle and King County. We can help you reduce waste, conserve water and resources, and minimize chemical use while creating a vibrant landscape. The Garden Hotline staff also research, write articles in many languages and teach classes. Laura Matter has been a practicing horticulturist for the past 36 years, studied Landscape Horticulture at South Seattle Community College and has an Associate of Arts degree from Seattle Central Community College and a B.A. in Botany from the University of Washington. She has worked as a supervisor of an interior plant maintenance crew in downtown Seattle high-rise buildings. During 10 years with Seattle City Light, she worked with her crew to replace and reduce pesticide use at the utility. Under her guidance, a large electrical station was able to be registered as a Backyard Wildlife Sanctuary with the State of WA after being enhanced with native plants, birdhouses, and using natural alternatives instead of pesticides. Laura ran her own landscape maintenance business for 14 years and currently provides landscape consultations, specializing in native plantings, wildlife habitat and edible gardens. She worked at Swanson’s Nursery in the information booth answering phone and in person gardening questions from customers. She was a block leader, committee head, site coordinator and a senior garden advisor at Picardo Farm P-Patch where she gardened for 20 years. Laura is currently the Garden Hotline Program Manager at Tilth Alliance and specializes in watershed health, pollinator gardening and integrated pest management education. In her own time Laura enjoys vintage movies, photography and more gardening. Melissa has been in the green industry for almost 20 years. She has a BA in Botany from the University of Washington and studied Landscape Design at Edmonds Community College. In the beginning of her horticultural career she was employed at local nurseries including Sky Nursery, Emery’s Garden, and Bellevue Nursery. After returning to the U.S. following an appointment as an Environmental Education Action Agent of the Peace Corps in Gabon, Central Africa, she decided to make sustainable education her career. For 8 years she worked for In Harmony Sustainable Landscapes, educating clients how to be more sustainable in their gardens and teaching Integrated Pest Management classes to coworkers. While in Bothell, she volunteered as an organizer for Sustainable Bothell, an organization dedicated to educating, motivating, and connecting local community members. Melissa was manager for Rooster’s Rendezvous at Country Village for 6 years and currently manages a community garden in Mill Creek that helps donate food to a local food pantry. Melissa is wife to a computer guru and mother of a 4 year old girl. 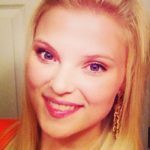 Lacey began her venture into the Horticulture world in 2010 when she began her Associates Degree in Horticulture and Sports Turf Management at the Northern Wyoming Community College in Sheridan, Wyoming. During this time, Lacey became highly involved with local community gardens, farmers markets, and outreach projects that brought the community closer to local foods and agriculture. 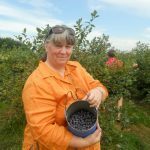 Upon completion of her Associates Degree in 2012, Lacey then became involved with the University of Wyoming and Extension Center, working on various projects related to cold tolerant grapevine and fruiting tree varieties. These projects involved traveling the state of Wyoming and collecting extensive data on small farms, their growing practices, and specific plant varieties being grown in the West. It was this work that left Lacey ready to dive into higher education. 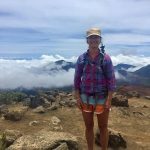 In 2015, Lacey received her Bachelor’s degree in Agroecology with a Minor in Horticulture from the University of Wyoming in Laramie, Wyoming. Following the completion of this degree, Lacey continued connecting the public to horticulture when she began work at the Cheyenne Botanic Garden in Cheyenne, Wyoming. 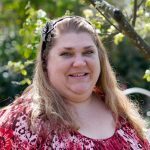 Now residing in Washington, Lacey is ready to use her diverse skillset to educate the greater Seattle area on the best gardening practices, waste management, and local organic foods. When Lacey isn’t working, she enjoys all things outdoors, yoga, and playing with her two dogs, Oliver and Odi. Selena received her BS in Wildlife Ecology and Minor in Horticulture from Washington State University strengthening her connection to plants and the environment. After landscaping in the PNW for over a decade, her passion to work within the local food system sparked a new interest leading her to volunteer at Seattle Tilth within the Food Hub program. She received an MBA in Sustainable Systems with a focus on Sustainable Food and Agriculture in 2016 from Pinchot University. Her vision supports diverse, innovative people through public education on culturally diverse environmental and economic development. She joined Alleycat Acres as a Farm Coordinator and Systems Change Consultant in 2017. Selena looks forward to helping bridge the gap in food access to our neighborhoods and continuing to expand the urban gardening and farming community. For the past 5 years, Selena has run her own landscaping business with the intent of reestablishing the connection clients have to their gardens and plants. Since receiving her MBA she has transformed that business into a consulting company focused on community engagement and development and revitalizing the local food systems through edible gardens and connecting to the food we eat.